Learners have diverse learning styles and intelligences. In order to accommodate all types of learners, experiences are provided that keep the learners physically and mentally active. 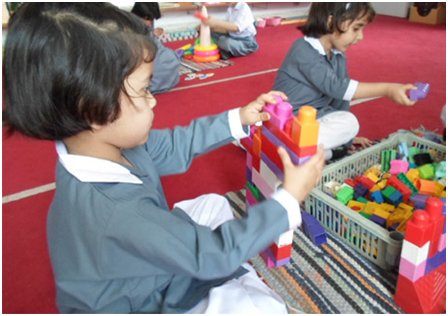 Their learning experiences facilitates them to construct new learning on the foundations of their previous learning.